Operate your Super Feeder remotely via Wi-Fi! Complete Wi-Fi Super Feeder combos are also available with discounted bundled accessories. 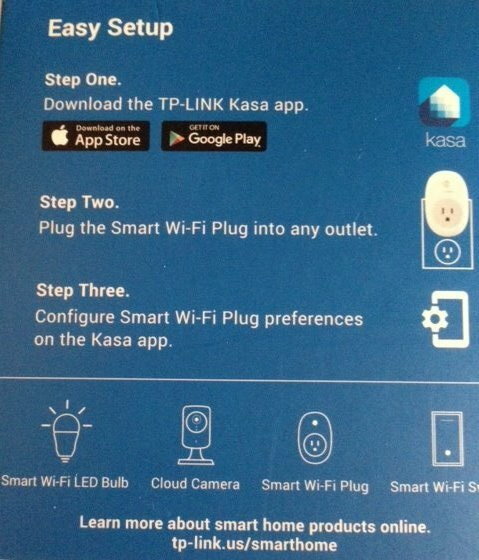 For Wi-Fi control, we have tested and recommend this smart plug for mobile devices running iOS 8 or higher, Android 4.1 or higher with existing Wi-Fi network. You may also use a TP-Link Camera. Up to 15 on-off cycles meaning up to 16 meals/snacks per day available. 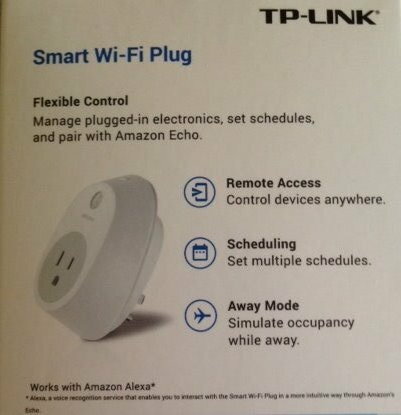 This TP-LINK® HS100 Smart Wi-Fi Plug is perfect to control your Super Feeder® remotely. It is one of the easiest we tested to install and use. Just follow directions included with the Smart Wi-Fi Plug. All you will need to do once installed is program suggested 2 minutes of "on" time for each feed cycle time of day you want. Make sure you program "on" and "off" time, i.e. 8:00 AM and off at 8:02 AM for each time of day you want to feed your pet. Also select all or certain days of the week you want to trigger your Super Feeder® to feed your pet. The feeder runs only for time in seconds you previously adjusted the feeder to give you the portion needed and then stops. You may of course trigger your Super Feeder® anytime by remotely turning it on for a few seconds and turning it back off yourself from your device. You may install and operate several Wi-Fi Plugs and feeders simultaneously in different places within range of local Wi-Fi. Note: The feeder must have been powered down for at least 2 minutes between feed cycles to assure it triggers again. If it has not been off long enough like repeatedly turning it on and off, the feeder will not work, which is normal. You could also control the Super Feeder® by voice command using this TP-LINK® Smart Plug compatible with Amazon Alexa®. 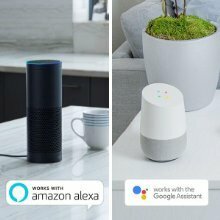 The TP-LINK® Camera could be a great addition. Many ways to operate your Super Feeder®. This is what makes it so unique! Confirming total time power has been applied to the feeder using the HS100 plug: Tap on "Total Runtime" and note amount of time the plug was turned on from one feed cycle to another or when manually turned on. This function only confirms time power has been applied to the feeder.